Cover-Up is a mobile device accessory maker with Welsh roots and "small business" values whose chief belief is in quality. It started out back in 2009 when it produced its first Kindle cover, and now makes a range of accessories for over 100 different tablets, smartphones and eReaders – including the brand new Samsung Galaxy S7 and S7 edge! 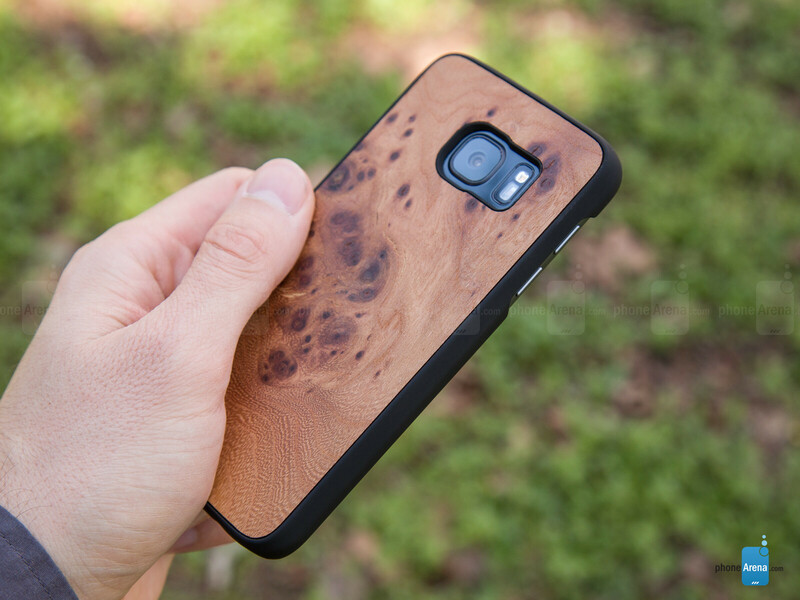 Cover-Up's ambition to differentiate itself is delightfully exemplified by its #WoodBack series of skins and cases, which is all about blending technology and nature by marrying a protective polycarbonate shell with panels made of sustainably sourced wood. The combination delivers good all-around protection with the dignified and highly aesthetic appearance of natural wood – laser-cut and sanded by hand, the old-fashioned way. Cover-Up's #WoodBack cases come in two choices - 'Snap' and 'Explorer'. 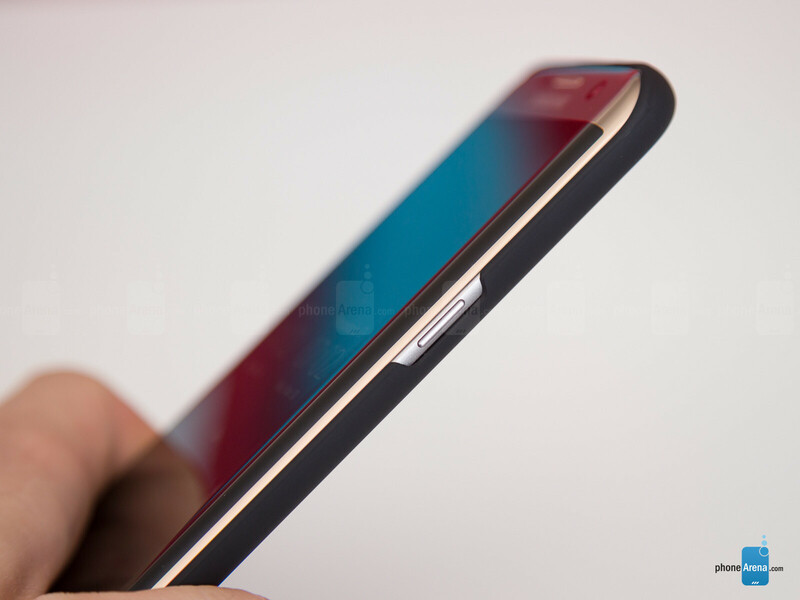 Both have tough inner shells for protection, but the former's' sides have a smooth rubber feel and leave the smartphone's buttons exposed, while the latter cover it fully and feature strips with a sandpaper-like texture for improved grip. The 'Snap' cases are optimal for casual everyday use, while the 'Explorer' cases are the better choice if you intend to use your phone in challenging conditions. The 'Snap' and 'Explorer' cases fit the Samsung Galaxy S7 and S7 edge snugly, but are also easy to put on or take off. Unlike other cases that fit too tight and risk scratching your phone's finish during removal, these are flexible and come off smoothly. The cutouts for buttons, holes, and cameras are all in the right places, and the cases add little, though not minimal, bulk. You don't have to take them off for wireless charging, either. The impression of high quality is completed by the wood backs, which are definitely the star of the show! We sampled the Carpathian Elm Burl, Cherry, Blackened Ash, and Padauk flavors. They are finely polished, feature unique grains that make each case one of a kind (in a way) and are coated with a blend of vegetable oils and waxes, which protects the wood from water and dirt while giving it a subtle shine. UPDATE: Following the article, Cover-Up took action and replaced its entire stock of Galaxy S7 edge #WoodBack Explorer cases. Chances are the problems you'll read below have been resolved! Unfortunately, not all is fine with Cover-Up's specimens. The 'Explorer' case we received happens to render the Galaxy S7 edge practically unusable, because it fits too tight. The plastic shell keeps pushing down on the handset's power and volume buttons, making them impossible to operate and wreaking all sorts of havok, such as random restarts, the power menu popping-up randomly, and the volume keys becoming too stiff to operate. 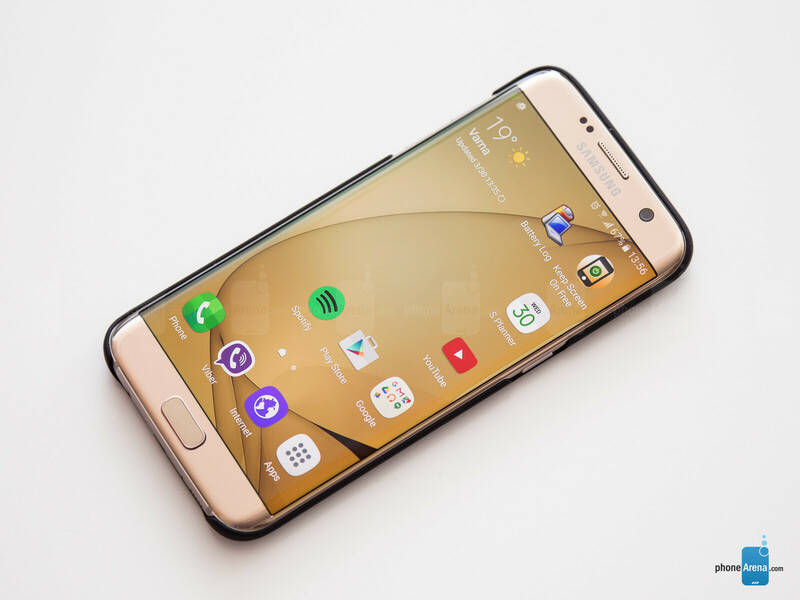 Although Cover-Up can easily fix the problem in later revisions, we can't recommend the 'Explorer' case to Galaxy S7 edge owners for the time being. 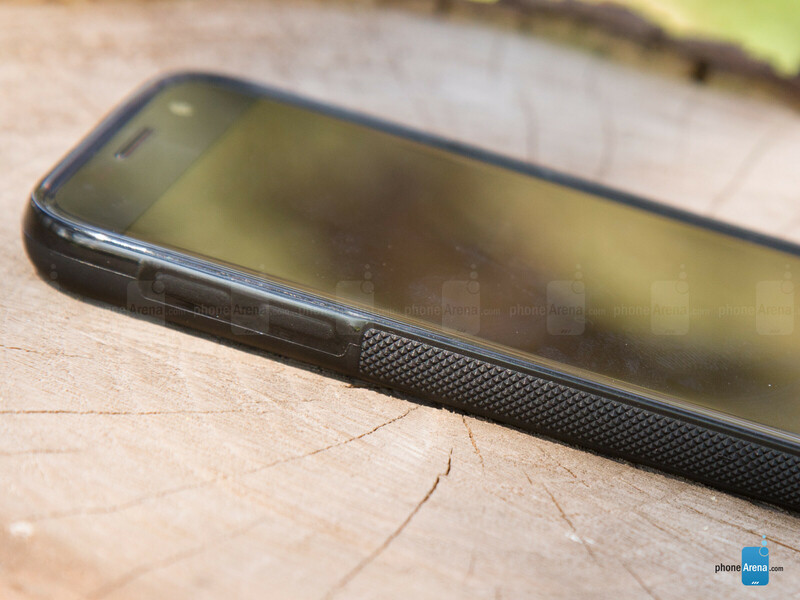 Thankfully, there are no issues with the 'Snap' models, or the 'Explorer' case for the regular Galaxy S7. Although we do have our reservations towards how much impact the delicate wood backs can handle before scuffing or breaking, we reckon they can take quite a beating before any accidents happen. Moreover, the quality of both the polycarbonate shells and the natural wood backs themselves is high enough to inspire confidence. As for the appearance, that's up to everyone's taste, but we admit to loving the combination. 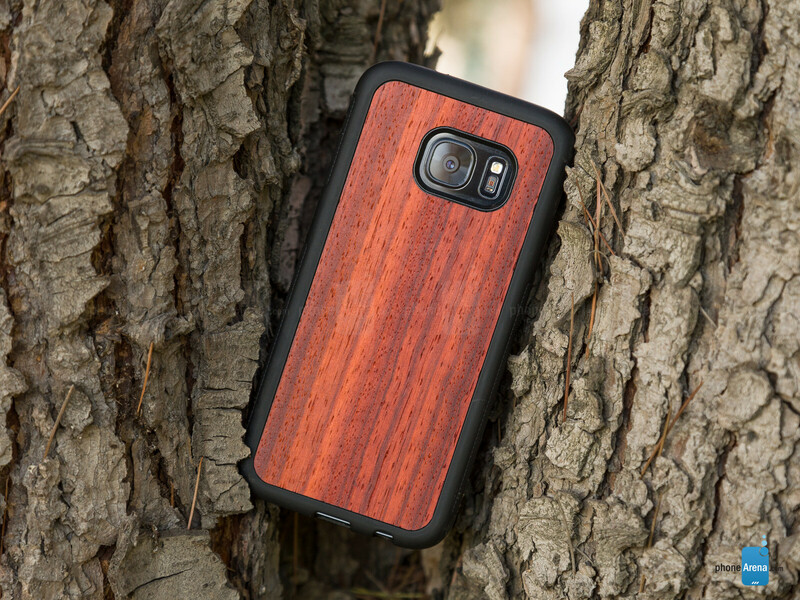 At $24 to $28 apiece, we think the #WoodBack cases are fairly priced, considering the good level of protection and the wonderfully selected and processed wood. 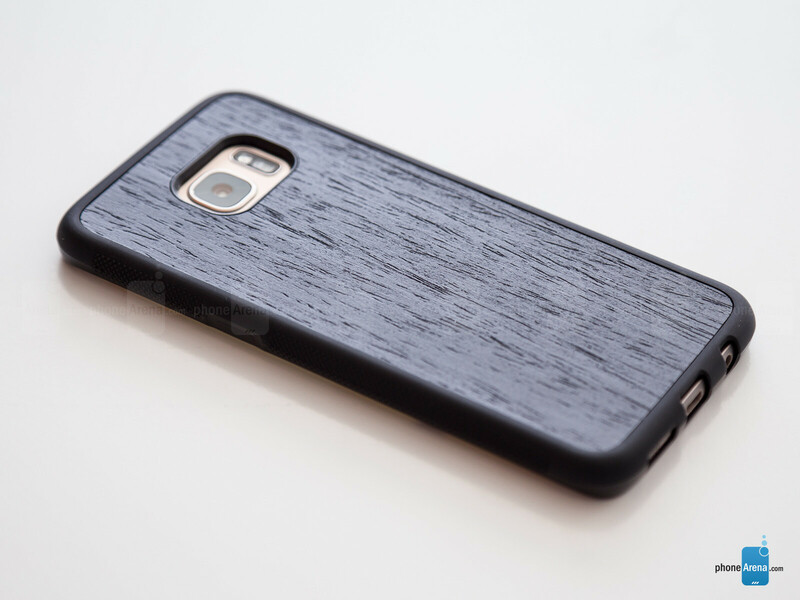 Problems with the Galaxy S7 edge 'Explorer' case aside, the great fit and the natural wood look did win us over, and we can confidently say that Cover-Up delivers on its promises, showing a dedication to quality. The #WoodBack 'Snap' and 'Explorer' cases are available here (Samsung Galaxy S7) and here (Samsung Galaxy S7 edge). Feb 23, 2016, 12:58 PM, by Chris P.
These are the cases that I'm looking for. So what's your house made of, do you use paper and yeah what's your furniture made of. How about things you buy like the paper made box your phone came in and food you buy at the store that is in paper. So do you not buy any of this stuff or are you another hypocrite tree hugger. These are nice if you like the wood look. I don't see any for the note 5 though. I rather use a skin. Adds no bulk onto the size of the phone. I haven't tried dBrand skins yet, but the Skinomi ones I have gotten are really cool. I like feeling some texture too. Though I miss the cool glass feel of my Note 5.